This is the most direct option and begins immediate action against the debtor. The claim is assigned to an experienced collector who begins the process of contacting the debtor to collect on the debt. 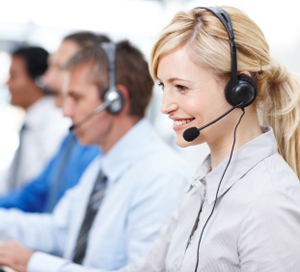 An escalating series of Letters and Phone calls are effectively used to collect the Account. If unsuccessful, the claim will be placed with our pre-legal department, which will attempt to collect and determine if outside legal assistance is needed. In-house and outside collectors and attorneys work on a contingent fee basis. Subscribers to Lyon Credit Services can use this option if they would prefer to give the debtor an extra 10 days before formal collection begins. A letter is mailed to the debtor on Lyon letterhead making a demand for payment. If the debt is paid and reported within 10 days of placement, the claim is closed and there is NO FEE to the subscriber. Accounts Receivable Management, also known as "Soft Collections", is a custom designed program that allows Lyon to act on your behalf while maintaining an ongoing business relationship with your customer after the debt is paid. A Custom Letter Series and/or call campaigns work more like an out-sourced Accounts Receivables system than a more forceful third-party Collections effort. 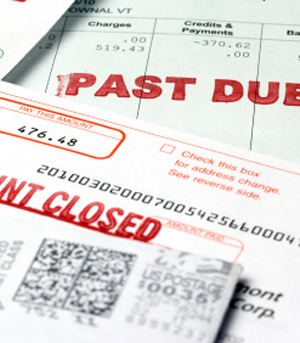 Many of your existing clients just need a gentle reminder to pay your bill. Letters are written on Lyon Receivables Management Letterhead and direct your client to remit payment directly to your company. We act as an extension of your department and will set up the process based on your preferred method of communication. The sooner that you make the decision to bring Lyon in on the process, the greater your chances of getting paid. As a founding member of the Agency Section of the Commercial Law League, Lyon utilizes attorneys from all the major law lists. Lyon is able to find local council to litigate your claim in every county in the country. Our affiliations also enable us to provide international representation. Our legal staff manages the process from start to finish and since all of our attorneys are collection specialists many cases are resolved prior to filing suit. Court costs are determined by the geographic area in which the claim is filed and by the outstanding balance. The contingency fees range between 30-40%. Clients are responsible for all filing fees. Some states or attorneys require a small non-contingent fee prior to filing a lawsuit. This fee is usually between 1%-5% of the balance.